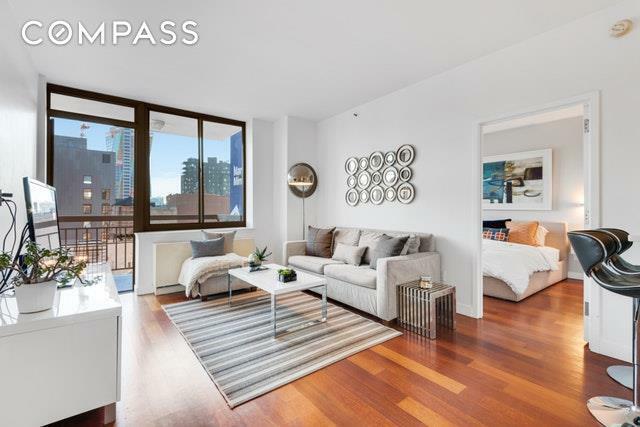 Move right in to this fully renovated mint 2 bedrooms, 2 bath home located on the 12th floor in West Chelsea at The Marais. South facing with open city views is welcoming to all. 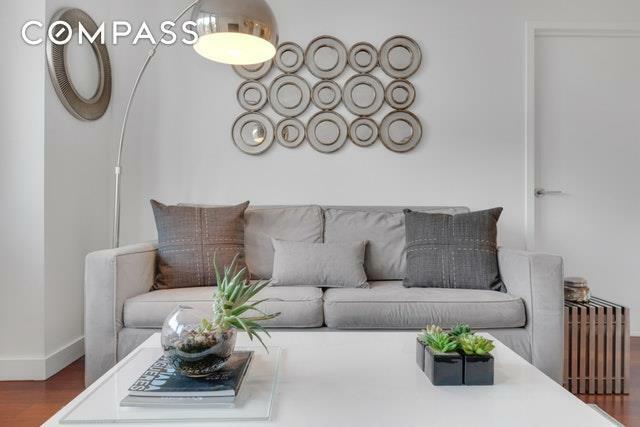 The efficient layout offers split bedrooms, open kitchen with white silestone countertops, breakfast bar, hardwood floors, spacious closet space and washer/dryer in the unit. The renovated bathrooms are have a european flair with Roca tils and white porcelain sinks, the master has a glass shower and a tub in the second bathroom.Step out to your private balcony to enjoy West Chelseas happening overlooking the high-line park. 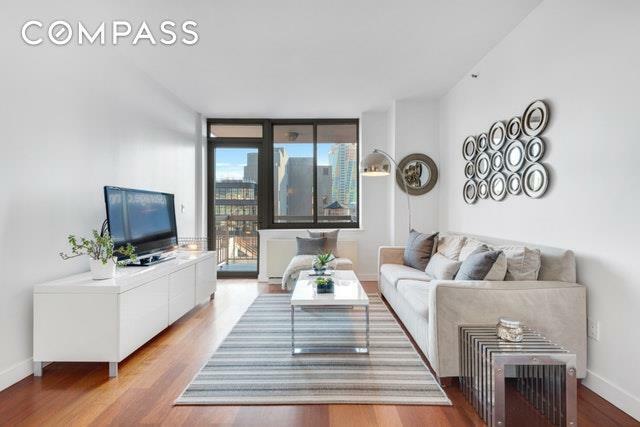 Located in one of the most talked about areas in the city, the Chelsea Art District and is a short distance from Hudson River Park, Meat Packing District, Chelsea Piers and fantastic art galleries, shops and restaurants, NO BOARD APPROVAL. The Marais is a 16-story luxury Cond-op building. The building is pet friendly. Amenities include: live-in superintendent, 24/7 doorman, common roof-deck with spectacular views, bike room, common courtyard, laundry room and storage. Listing courtesy of Scott Kogos of Compass.